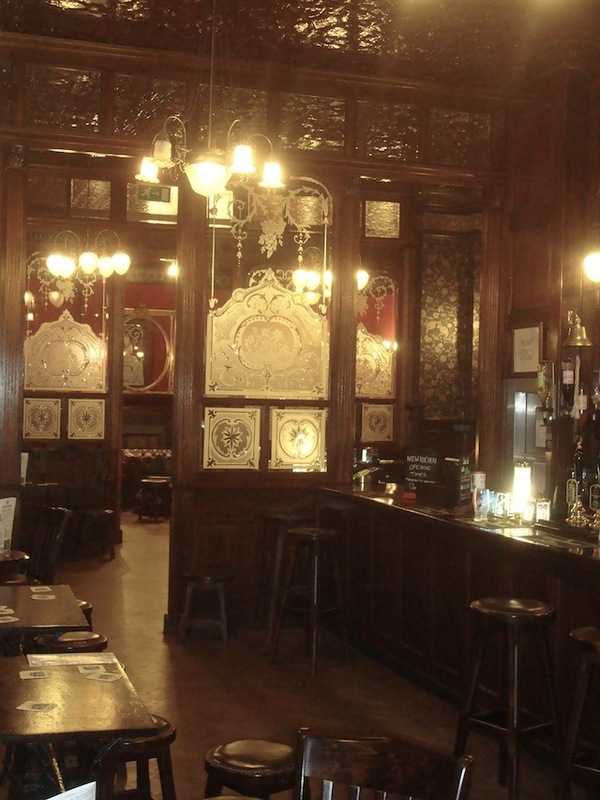 This pub was voted one of the best in the Victoria area by Londonist readers. Sam Smith's. You can sense it as soon as you walk in the door. 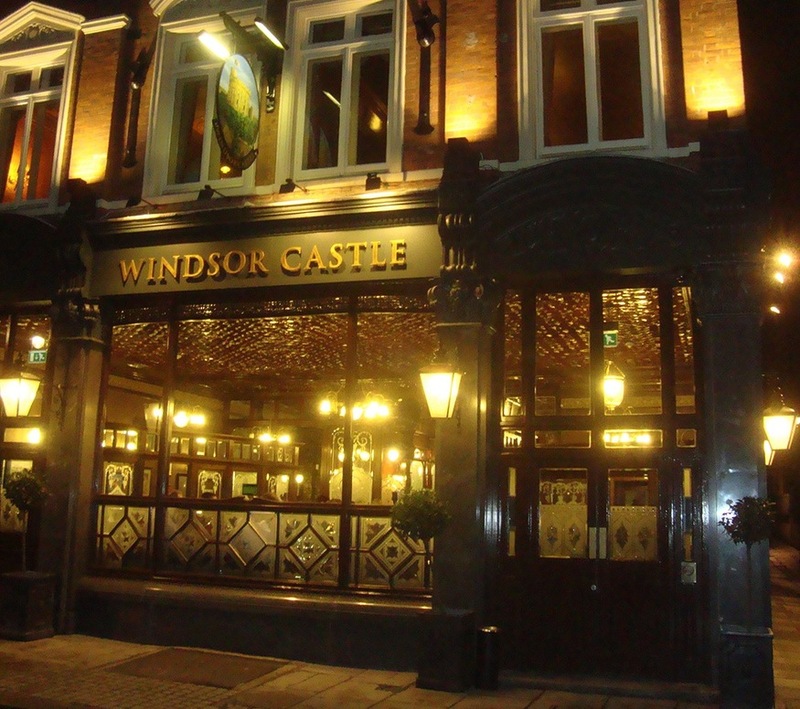 The chain's habit of re-installing the Victorian splendour of old pubs is readily seen in the Windsor Castle, formerly known as The Cardinal and only a censer-swing from Westminster Cathedral. The ground floor space is divided into four or five sections of varying size. Regulars tend to hang around in the smaller compartments near the door, while the back and side hold plenty of seating for the masses. Throughout, drinkers can enjoy the masterclass of craftsmanship, with wooden paneling and etched glass that would be a location scout's dream. Look out, too, for the bearskin soldier's hat on top of the bar — the staff can't recall where it came from. An upstairs function room is decked out like a gentleman's drawing room, and is an excellent choice for small to medium-sized gatherings. 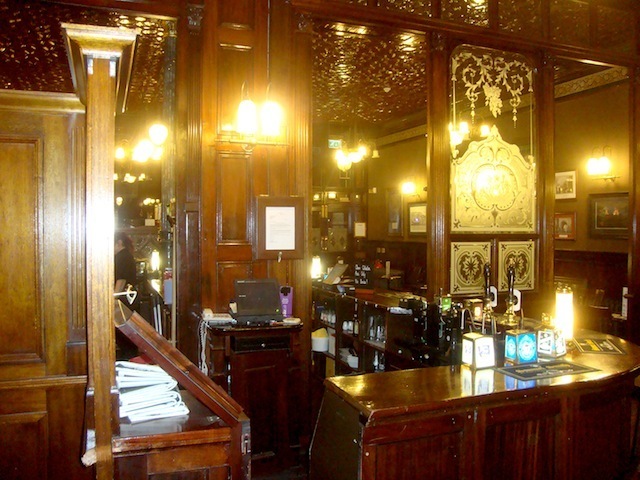 It's used on the first Wednesday of each month, for example, by the London Historians group for informal drinks. Speaking of drinks, it's the usual range of Sam Smith's own-brand — cheap but unexciting — with a pubby food menu.